Guess what........... we're pregnant! Yep! AGAIN! We know, we're very fertile. Yes, we know how it happens. And yes, we know how to prevent it from happening. But guess what..... sometimes birth "control" leaves you in less "control" than you thought. We are thrilled God's plan superseded ours! We've been using the same method of birth control since Elizabeth was born. In April, when we really started moving forward with our adoption, we booked a vasectomy for Nathaniel. We both were burdened by the orphan crisis and wanted to grow our family through adoption more than anything. The earliest possible appointment was June 17th so we booked it. Even though I felt peace about the appointment, it's kinda weird to make such a permanent decision in family planning. I was glad for a couple months to process it all before following through with the procedure. On May 21st we booked our airline tickets to Ghana (if you haven't been following along, this trip was a Missions trip and unrelated to our adoption process). We've been talking about and planning this trip for months. God laid out so many of the steps before us, including COMPLETE funding without us asking a single person for money. Shortly after booking our airfare, our Visa applications were approved, that was a huge green light! We were full steam ahead. On Thursday, June 8th we went to the Doctor to get prescriptions for all of our vaccinations: Yellow Fever, Typhoid, Hep A, and Malaria. Nathaniel was working from home that day so I was going to head to the Health Department to get my shots, but a friend in need kept me from doing so. I figured I'd arrange childcare and go the following week. On Sunday, June 11th, I found out a friend was expecting and I offered her all of my maternity clothes. Nathaniel was less than a week away from his big appointment and we weren't having any more kids through conception. Right? Right. Like a speeding vehicle crashing into a brick wall our world collided with a new reality. I started the day by officially finishing and sending off all the adoption documents I could complete until Ghana re-opens their program. At this point, my period was a few days late but I wasn't concerned. Earlier this year I was having some strange issues with my cycle that actually sent me in for an ultra sound which was inconclusive. I had been 10 days late (and other weird symptoms) with no explanation, so I figured my cycle was still out of whack and I would just have to wait it out. At one point in the day I remembered I had a home pregnancy test left over from that 10-day-late-fiasco (always buy tests in 2-packs people!) so I thought about taking it. I really had nothing to lose because Nathaniel was getting snipped that weekend and I definitely wouldn't need it after that, so taking it would just give me peace of mind that I wasn't pregnant and then I could throw it away without feeling like I "wasted" it. I'm frugal like that. Well, shortly before lunch I left my 3 hyped up children to their playing while I went pee on my harmless little stick and just was so so so so sure it would be negative..................... it wasn't. 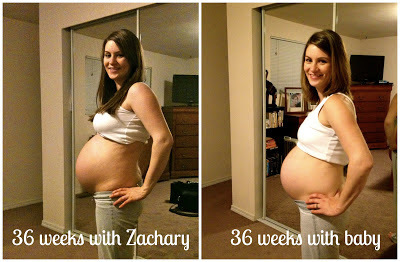 Six days before Nathaniel got his vasectomy, I found out I was pregnant. I can't make this stuff up people. I was more than stunned, I was numb. The kids continued their crazy game running through the house while I sat in the bathroom motionless for, like, ever. The worst part, Nathaniel was at work, and I simply could not tell him this news over the phone. I had to wait all day to even talk about it. Which was silly because I had just about nothing to say after I finally did tell him. We laughed and cried and laughed and sat in silence. There's nothing I can type here to fill in that day or even the following weeks of processing the news. I called my Doctor right away, certain that she'd tell me I could totally get vaccinated and travel to Africa. Yeeeaaahhhhh....... no. That's actually not allowed. Vaccinating with live vaccines while pregnant can be very dangerous, ESPECIALLY in the first trimester. Praise God for intervening the day I planned to get vaccinated not knowing I was pregnant. I called my Midwife, the Health Department, my Pastor's wife, hoping that one of them would give me some miraculous answer as to how I could still get to Africa to see these children I so desperately dreamed of holding. Even if I defied every person involved in my health and prenatal care, went to Africa unvaccinated and nauseous, the woman running the shelter in Ghana is a Midwife and she said "Absolutely no". God clearly closed the door, which was a hard but needed answer to prayer. Proverbs 16:9 says "The mind of man plans his way, but the Lord directs his steps." We are still "in the process" of adopting. That's a loose term in the Ghana system; we have no open doors right now so we are just waiting. When Ghana re-opens we'll pray about how quickly to dive in... we know that we have a child out there somewhere that belongs with us. We want them here as soon as possible but also want God's perfect plan to trump our naive desires. We are fully aware that it could take 5 years. We're also aware that it could take less than 1 year. 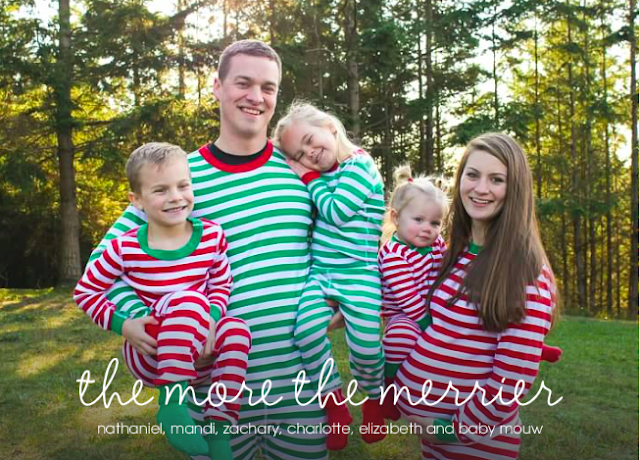 We want to steward our call to adopt well, amidst pregnancy, a newborn, or 4 wild and fun young children. Oh, and if you are wondering, Nathaniel DID follow through with his appointment. Which was kind of funny and somewhat uneventful emotionally. I thought he'd come home and I'd think "OH NO! What have we done!?" But instead we just had to laugh that I can't get pregnant while I'm pregnant now. I can't believe that in 6 months we will be holding our fourth precious BABY in our arms.... I can't wait! Proverbs 31:25 "She is clothed with strength and dignity; she can laugh at the days to come." It's a Boy, It's a Girl, It's a BABY!!! My favorite part of not knowing the gender of my baby is how much it drives everyone else crazy. We don't think about it very often because it just doesn't matter to us - but everyone else seems to be really bothered by it. It actually makes it easier for me to not know, knowing that everyone else is so anxious to know. I get satisfaction out of keeping everyone guessing! BY FAR, the general consensus is that we're having a girl. I think people just want us to be having a girl since we already have a boy. Most of the reasons behind peoples guesses have to do with Old Wive's Tales on gender predictions; How I'm carrying, the heart rate, what I'm craving, etc. So I decided to compile a list of a few Old Wive's Tales I can find regarding Gender Predictions to get to the bottom of it all. We, of course, won't find out for absolute sure until the baby is here, but in the meantime we can have some fun with our Unofficial Research Project. Many of you have already heard about our journey this year. Some of you walked with us. You have prayed us through bumps, bruises, surprises, starts, stops, and everything in between. Whether you have heard, watched, or helped us live it, I hope our story encourages you as you read it today. January - Through a series of God-ordained circumstances, I felt compelled to seriously talk with my husband about adoption. International adoption…. from Ghana….. AFRICA! She's 2 years old now and I'm gearing up to give birth to her baby brother any second, but I remember the day Elizabeth Ray entered the world like it was yesterday. 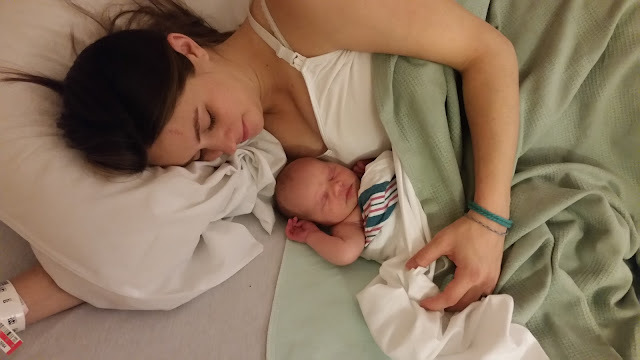 Her birth story was quite traumatic and I'm still, in some ways, processing the horror of it all. I never took the time to write it out; partly because I am raising 3 children and haven't made the time and partly because I'm not sure how to put much of it into words. With that being said, I'm going to document it as best as I can before I have a new, redemptive, birth story to share with you all. It's long, I kept everything in that I could remember. This is more for me, than for you.